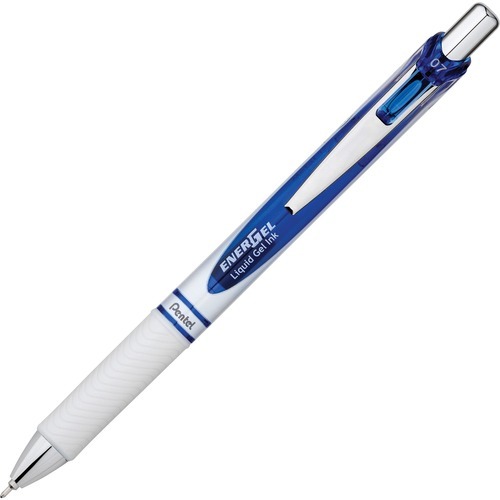 Retractable pen features high-performance ink technology that combines the best qualities of liquid and gel ink to deliver a super-smooth writing experience. Gel ink dries quickly to prevent smears, smudges and globs for clean, consistent writing by either left-handed or right-handed writers. Metal tip allows you to create intricate lines for detailed writing. Latex-free grip offers a high level of comfort and control for legible results. Pen is perfect for daily use at home, office and school.